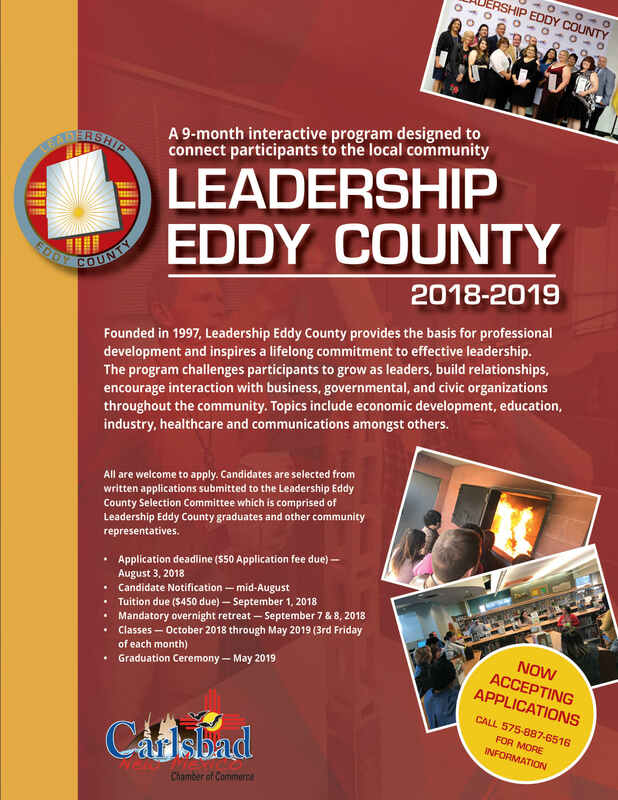 Founded in 1997, Leadership Eddy County provides the basis for professional development and inspires a lifelong commitment to effective leadership. The program challenges participants to grow as leaders, build relationships, encourage interaction with business, governmental, and civic organizations throughout the community. Topics include economic development, education, industry, healthcare and communications amongst others. All are welcome to apply. Candidates are selected from written applications submitted to the Leadership Eddy County Selection Committee which is comprised of Leadership Eddy County graduates and other community representatives.